Our approved used Honda models offer fantastic quality with an affordable price tag. You can browse a broad selection of used vehicles at our dealerships in Gatwick and Redhill, and benefit from the advice of our highly-experienced sales advisers. 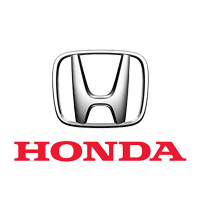 Our expert technicians perform a thorough pre-sale assessment on each model before it goes on sale, so you can rely on the safety and reliability of any Honda you choose. Our stock of used Honda models changes regularly, so browse the current range online and get in touch if you would like to arrange a test drive.